Object-Oriented Design with Applications has long been the essential reference to object-oriented technology, which, in turn, has evolved to join the mainstream of industrial-strength software development. 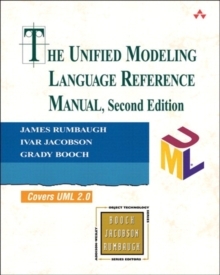 In this third edition--the first revision in 13 years--readers can learn to apply object-oriented methods using new paradigms such as Java, the Unified Modeling Language (UML) 2.0, and .NET. 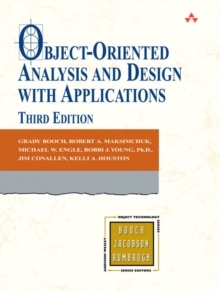 The authors draw upon their rich and varied experience to offer improved methods for object development and numerous examples that tackle the complex problems faced by software engineers, including systems architecture, data acquisition, cryptoanalysis, control systems, and Web development. 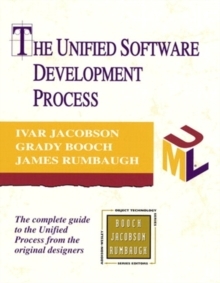 They illustrate essential concepts, explain the method, and show successful applications in a variety of fields. You'll also find pragmatic advice on a host of issues, including classification, implementation strategies, and cost-effective project management. 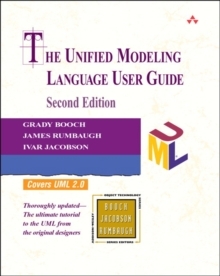 New to this new edition areAn introduction to the new UML 2.0, from the notation's most fundamental and advanced elements with an emphasis on key changes New domains and contexts A greatly enhanced focus on modeling--as eagerly requested by readers--with five chapters that each delve into one phase of the overall development lifecycle.